The Missouri Supreme Court is weighing a ballot initiative that would affect Missourians' access to personal credit. July 3, 2012	(Newswire.com) - The Missouri Supreme Court is weighing a ballot initiative that would affect Missourians' access to personal credit. 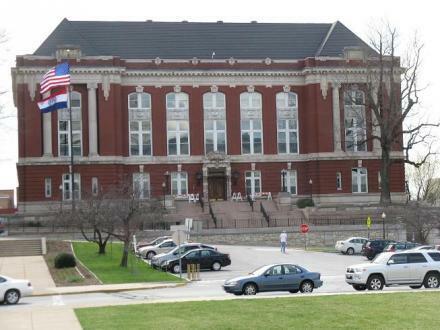 The court is considering an appeal of the Cole County Court's decision vacating the petition for what is being called the "Payday Loan Initiative." Cole County Judge Daniel R. Green had ruled that the petition language misled signers and was "insufficient, unfair and likely to deceive voters." The ballot initiative seeks to limit interest rates on short-term loans in Missouri. Although the initiative's proponents have asserted that it targets only payday lenders, the measure includes traditional installment lenders as well. This means that, if the ballot initiative is passed, all small-dollar loans-including popular and highly regulated traditional installment loans-would be at risk. These traditional installment loans, also called TILs, are like bank or credit union loans and are widely recognized as a safe credit option, particularly for low- to moderate-income individuals and small businesses. In throwing out the petition, Judge Green wrote that the petition language misled signers by failing to inform them of the initiative's "undisputed economic impact" on Missouri, including the detrimental impact on TIL lenders and other safe and affordable credit options. The ruling provided constitutional validation for Stand Up Missouri's position that the traditional installment loan industry is independent from payday and title loans. Missouri State Auditor Thomas Schweich has filed the appeal of Judge Green's decision, although the state had acknowledged some of the negative economic impact of the initiative when it first approved the petition in August 2011: "State governmental entities could have annual lost revenue estimated at $2.5 to $3.5 million.... Local governmental entities could have unknown total lost revenue related to business license or other business operating fees if the proposal results in business closures." "We're hoping the high court will uphold Judge Green's ruling," said Tom Hudgins, President and CEO of Stand Up Missouri. "If this initiative makes it to the November ballot and passes, it would be a blow to Missouri's already-struggling economy and negatively affect thousands of families and individuals across the state. It would mean less money for schools, roads, and jobs, and would deny Missourians access to essential forms of credit." For more information on Stand Up Missouri, please visit http://www.standupmissouri.org. A special report presented this week by Stand Up Missouri asserts that Missouri's small-loan ballot initiative is an effort by special interest groups to circumvent the legislature and mislead the public. More than 500 concerned citizens and legislators joined Stand Up Missouri, a nonpartisan coalition representing concerned consumers and businesses from across the state, at a kick off rally at the State Capitol yesterday.